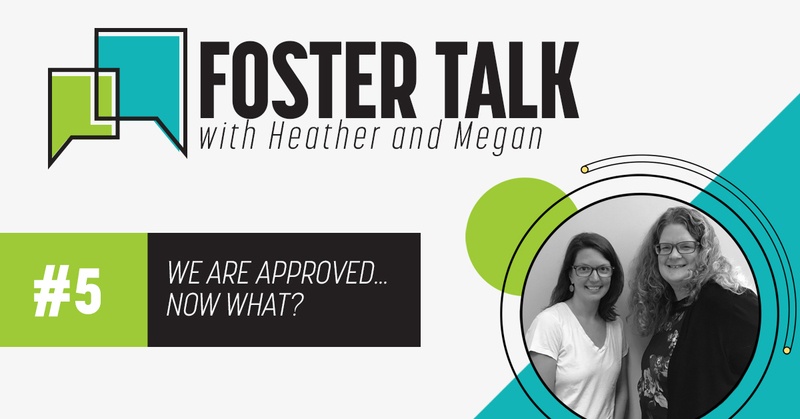 Foster Talk | We are approved... now what? We are Approved now what? Heather Moore is regional manager for KidsPeace Foster Care in southeast Pennsylvania and a foster parent; Megan Craig is a foster parent based in Doylestown, PA.
Once you are an approved family … the challenge really begins! While the approval process can feel overwhelming and intense, you now need to be ready for the “phone calls.” You have given us your idea of what type of child would be a good fit in your home, so if we get a referral that we feel will be a good match for your family we will call you. It is important for one of you to act as a “point person” for the agency; this person should be able to take calls during the business day and be able to make quick decisions. It is VERY important that your family discusses this in advance, so that everyone in the family understands what the “point person” can decide without making a bunch of phone calls to other family members. From the agency perspective, we are getting a call from the county along with other providers and need to react quickly. Any delay can cause another family to get approved to accept the child into their home. While we want you to give a lot of thought to your life-changing decision, we also need you to decide as quickly as possible. Are there any medical needs we need to know about? Are there possible behavioral issues with the child? We want the child who is going through a very difficult time in their life to find a family who can commit to them until the court decides what is in their best interest. We took our time getting approved. We had training sessions roughly once a month and then online trainings and clearances in between. The anticipation of becoming approved grew and grew with each completed training, too. The final two trainings, I remember, were specifically about what kids would be a best fit in our family and certain behaviors we might have to tend to. So my husband and I really began to dream about who we would welcome into our home and how that might look. The nursery was set with the basics, we successfully transitioned our then-3 year old to a “big girl” room, and our then-6 year old was pleased with an upgraded full sized bed in what used to be the guest room. In May 2016 we got approved. No more trainings, no more paperwork, no more home inspections. We celebrated as a family by going out to eat. And then we just waited for a call. Once you finally get approved to foster, you might feel like we did- energized and eager to get started. I found myself stockpiling clothes and diapers of various sizes “just in case.” My heart would race when my cell phone rang with an unfamiliar number. Our family dinner conversations often centered on “I wonder when”and “I wonder who” type discussions. And with all of this planning and preparation, you ultimately should be prepared for the unexpected. Foster care has no set case, child, circumstance, outcome, or order. Once you think you have things figured out and ready, something changes. So while you wait, I urge you to practice flexibility. An open home is the first step, but an open heart is a very close second.